EBC ข้อมูลการรับประกัน - Euro Auto Breakers & Engineering Ltd. The EBC Brakes warranty covers defects in materials or workmanship only. Warranty is for replacement of similar product or refund of purchase value only excluding all labour and ancillary charges such as vehicle towing, fitting, inconvenience, purchasing of other manufacturers products and is good for a period of twelve months from date of purchase or 10,000 miles of highway use. Proof of mileage will be required. Warranty is invalid if product is used for taxi/hire car, racing, rally, drifting, trackday experience driving, or any other form of competition. There is absolutely no warranty on any EBC product for race use. Warranty does not cover brake noise or normal wear and tear. Some brake pad systems cause pads to wear faster than others. 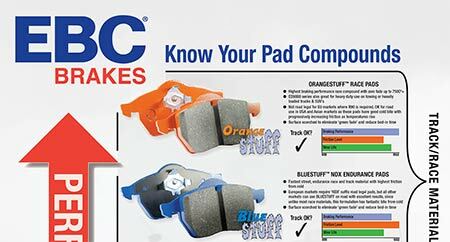 Drivers/users must assess the performance and durability of EBC Brakes products themselves if any EBC product is to be used in racing.